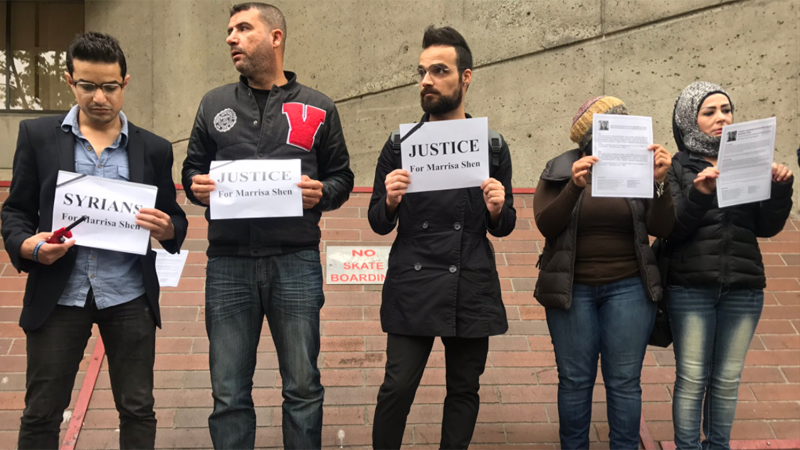 There were calls for calm, calls for stronger immigration screening, and most of all, calls for justice outside a Vancouver courthouse Friday as the Syrian refugee accused of killing Marrisa Shen made a brief appearance before a judge. Dozens of people gathered at provincial court on Main Street for the hearing, during which the accused, 28-year-old Ibrahim Ali, sat expressionless in the dock as an interpreter translated the judge's remarks. There was an audible gasp from some in the public gallery when Ali appeared. 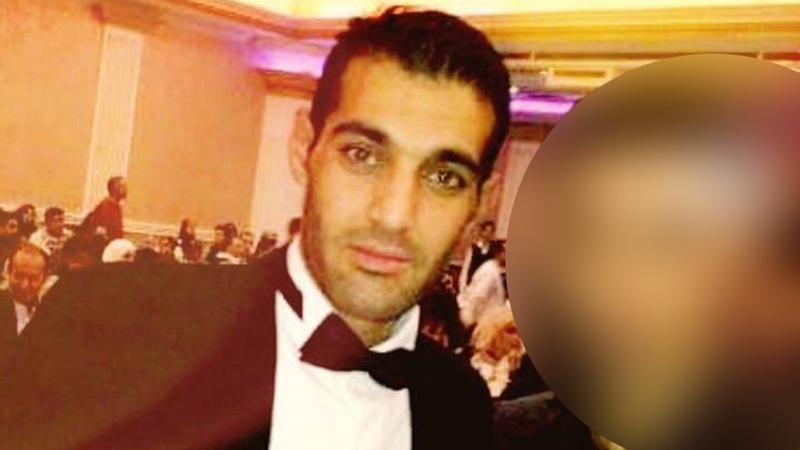 The alleged killer sported a full beard and looked disheveled – a noticeable change from the image of a smiling man in a tuxedo posted on his Facebook page. "I can't offer any comments except to say we all feel horrible for that child." Markovitz said. Some of the 80 or so demonstrators who spent the morning outside court represented the Syrian community, and lit candles in support of Marrisa Shen’s family. Members of the Syrian-Canadian Council of B.C. have also been trying to counter some of the anti-immigrant and anti-refugee sentiment they say has flared up, especially on social media, since news broke Monday of Ali's arrest. "It was an individual act of one person, and it's painted the whole community," said Nassar Najjar. But others argued it's time for the country to reassess its screening processes. Some carried signs referencing "Canadian values." Laura-Lynn Tyler Thompson, a former Christian TV host, said her concerns are strictly about public safety, not singling out any particular group. "This isn't about race, this is about keeping our borders safe," she said. "(The accused) should be sent back to where he came from or spend a lifetime in jail. We don't have strong enough measures to be taken for the loss this family has faced." Ali, who is a permanent resident, has no previous criminal record in Canada, and there has been no indication from officials that anything from his history in Syria should have raised a red flag. Immigration, Refugees and Citizenship Canada wouldn’t address the Ali case specifically citing privacy law, but in a statement wrote in part that refugees undergo “a robust, multi-layered screening before being allowed to enter Canada” that includes criminal and security checks, and the collection of fingerprints and digital photos. In what seems an effort to show a united front on the courthouse sidewalk, some from the Syrian Canadian community also said they would support a review of security screening measures in light of the allegations against Ali. "We might as well review our immigration and refugee programs to strengthen the process," said Mohammed Alsaleh, who himself came to Canada as a refugee four years ago. Alsaleh also lamented some of the negative attention being directed at Syrians since Ali's arrest, but said he believes the backlash is coming from a small minority of Canadians. He said he's living proof that immigrants and refugees, even those who arrive with no connections or English skills, can integrate and be embraced. "In a matter of four years, I speak perfect English, I have lots of amazing friends in my life, and now, before anything, I call myself a Canadian," Alsaleh said. "I have faith in Canada and I have faith in our society." Many of the people gathered outside court Friday also called for Prime Minister Justin Trudeau to say something about the case. He has been silent since police announced the charges against Ali on Monday. The accused is scheduled to return to court on Oct. 12. Advocates for the Syrian community hold a silent vigil outside court in support of murder victim Marrisa Shen's family. Sept. 14, 2018.